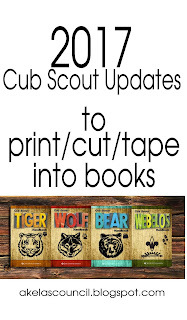 If you follow Scouting Magazine on social media, you might have heard about some updates to the Cub Scout Adventure program that were announced last week. The BSA Advancement Team found that, after the Adventure program was introduced last year, there has been a decline in the number of Cub Scouts advancing. As advancement and re-registration numbers start to appear, it has become apparent that an alarmingly low number of Cub Scouts completed their rank requirements last year. To read the rest of the article, click the link above. 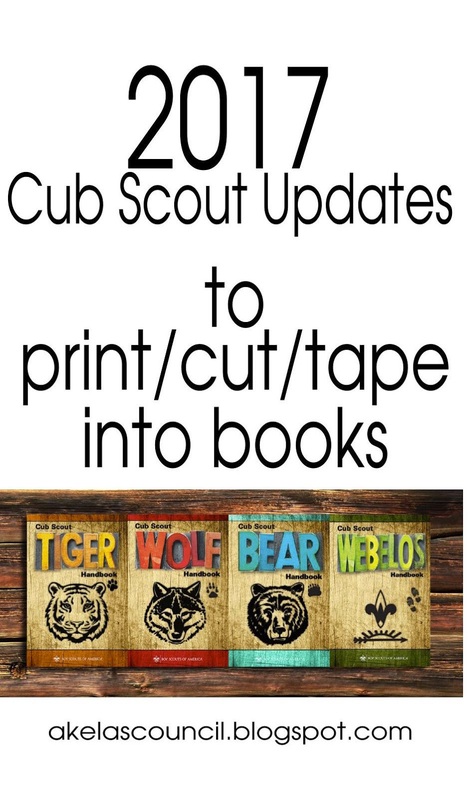 In the comments below the article, Cubmaster Tom says, "In response to the BSA’s just-announced modifications to the Cub Scouting program, I’ve put the changes into a format that allows you to print/cut/tape the new requirements for your rank on the photo page in the front of each adventure in your Scouts’ handbooks. Please feel free to use and share these links with your Packs and Scouting networks." A special thank you to Celeste Hunt from Pack 1781 in Washington, Utah in the Zion District of Utah National Parks Council for making this amazing tracking sheet and donating it to us. Tracking, planning, and recognition are so important in Cub Scouts. This new tracking sheet will help you be able to keep track of where each boy is at towards the Bear, Adventures, and Cyber Chip requirements. I like to print this tracking sheet on cardstock, and I print one sheet for each boy to be kept in my leader binder next to their tracking sheet for their Religious Award, and any other awards we have worked on. I keep a different tab for every boy with all the tracking sheets (Age Group & Religious Award). Then I have complete information on each boy. It helps to do it this way if you do one requirement one week and a different one other weeks. Not every boy is there every week. By doing this, I can always know where each boy is at, and it is all in one place. I keep a roll, and next to the roll I write down what we did that week, and then every couple of weeks I update all the tracking sheets for every boy. If the parents ever have questions, I always have a place to look back at on the roll, and I can always copy each tracking sheet to show them where their boy is. ** PLEASE do not download these files and email or send them digitally to others. These are for your personal use only. If you would like to share these files with others, please copy the link to this post and send them to our site so they can print off their own. We would love to have everyone that would like a copy to come here to print their own off absolutely free. We receive money to keep our website open where we store all of our documents and PDF files by people visiting our blog. Please don't take money out of our pockets by bypassing our blog. Please help us keep all of this information free. This Wolf Advancement Excel Spreadsheet is a workbook of FREE spreadsheets developed by Steve Coker, a Tiger Den Leader from Georgia, in the Northeast Georgia Council. This is for use by Cub Scouters to keep track of scouts advancement using the new requirements being implemented in 2017. Many scouters have used the Cub Trax spreadsheets for the current system, these spreadsheets operate in a similar manner. The spreadsheets have an instructions page with details on how to use them and how to contact Steve with questions. A special thank you to Jeff Freeman from Pack 3673 in Bozeman, MT for updating these spreadsheets and donating them to us. Having trouble downloading the document? If you right click and "save link as" instead of download, it will be able to be opened. 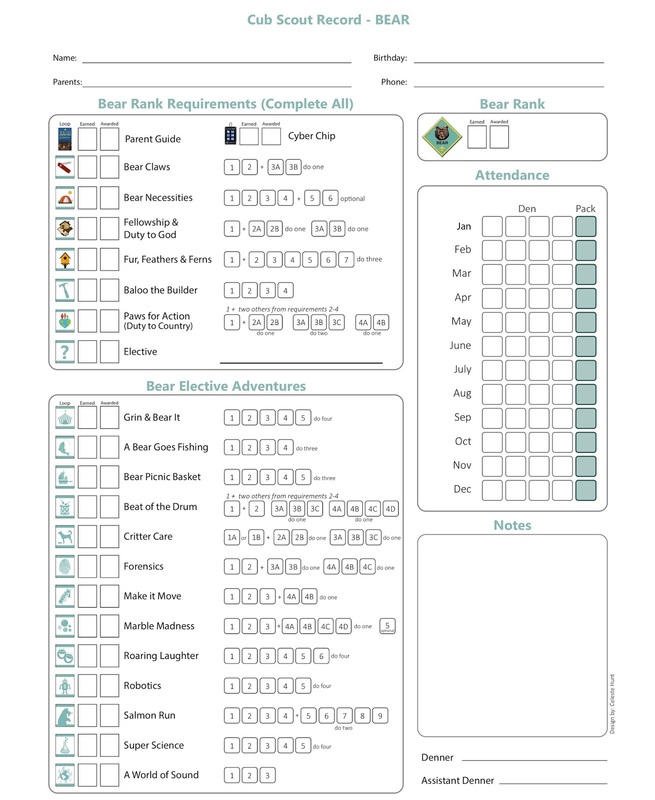 This Bear Advancement Excel Spreadsheet is a workbook of FREE spreadsheets developed by Todd M. Lynch, a Cubmaster for Pack 444 from Elkton, MD, and in the DelMarVa Council. This is for use by Cub Scouters to keep track of scouts advancement using the new requirements being implemented in 2017. Many scouters have used the Cub Trax spreadsheets for the current system, these spreadsheets operate in a similar manner. The spreadsheets have an instructions page with details on how to use them and how to contact Steve with questions. 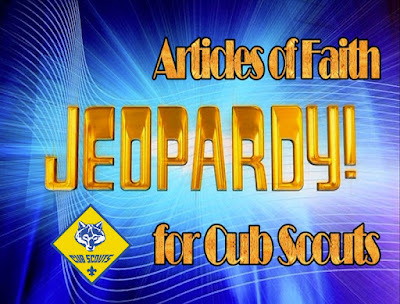 Here is a fun Articles of Faith Jeopardy! game that the Orem District, UNPC posted on their blog. Attached is a PowerPoint presentation with a fun version of JEOPARDY! 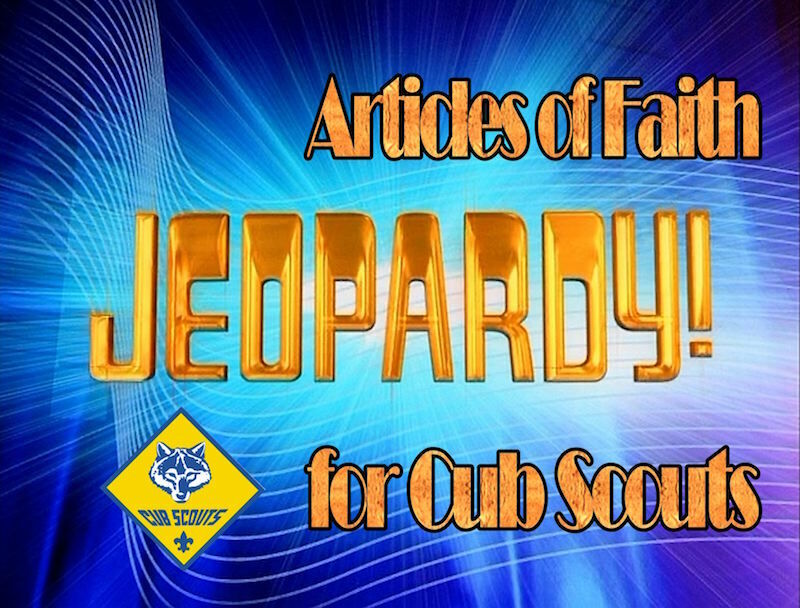 which can be used to help your cubs learn the Articles of Faith. Just download the presentation and then print out each page at a size that is convenient for you to use.